Home / Uncategorized / Best Wishes! by Bogieon December 20, 2010 December 20, 2010 1 Comment on Best Wishes! I attended my brother’s wedding earlier this morning. I was so happy to see him smiling as he walks down aisle. 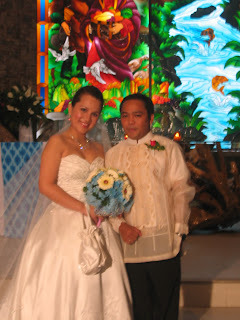 Friends and relatives who witnessed their wedding were also very happy that finally he’s finally tied the knot. Congratulations to the newly wed couple Claude and Edil!